Want to celebrate England’s national day?! 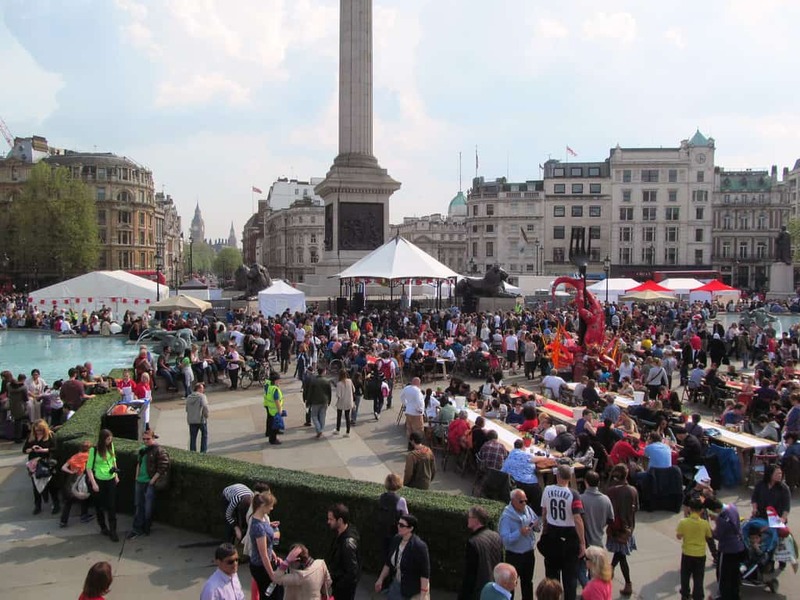 Join the St George’s festivities at the Major of London’s annual Feast of St George in Trafalgar Square. Trafalgar Square will be chock-full of stalls selling tradition English food. There will also be free children’s art workshops, stilt walkers, Pearly Kings and Queens, and a mixture of traditional and contemporary live music from 12pm. Find out more about the Feast of St George 2019.